This is a jig for cutting Bowden Tubing down to 120mm lengths using the Capricorn tubing cutter. 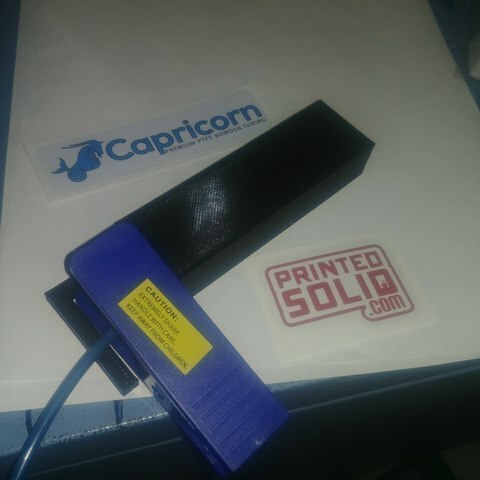 We stock Capricorn tubing at PrintedSolid.com for E3D and other hotends. Manually measuring the lengths got to be a bit annoying, so we made this jig. As an added bonus, if your printer is calibrated right, it acts as a no-go gauge for tubing that is out of spec on the high side. As long as you're able to do even moderate bridging, you can print this with no infill.